Why the rubber pad? For extra sealing, and to avoid galvanic corrosion. 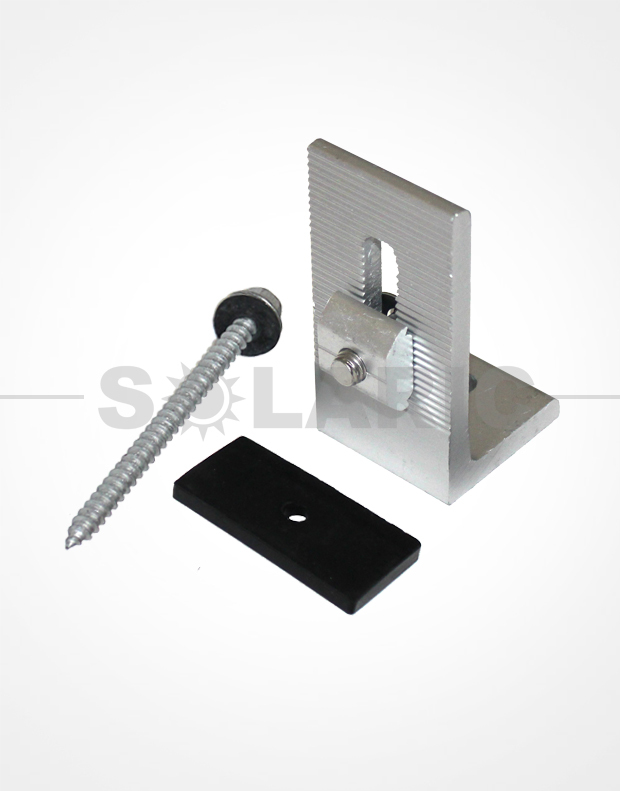 This is made of extruded aluminum – will work with our rails only. How many to get? Depends on your array and layout. We would typically double the number of panels in one string, then add 2. 1 solar panel : 4 L Feet.